It is your turn to help us! 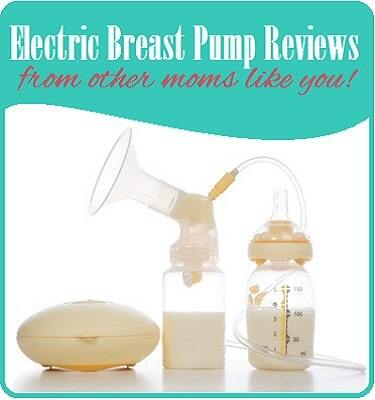 We want your electric breast pump reviews! Talk back and tell us what breast pumps that you love and which ones are worthless! Submit pump reviews, comment on other reviews and vote for the best! Which ones have you tried? Evenflo? Medela? Avent? Playtex? Submit an honest review for each breast pump that you have tried! Help other moms find the best breast pump out there and avoid ones that are junk! Click here to go directly to see other visitor reviews. There are so many different brands and styles to choose from…let other visitors know what works and what doesn’t! Look through other visitor’s reviews and vote for your favorite reviews. Plus, feel free to comment on what other reviewers say. Agree with their review or disagree with their opinion…and let us know why. Sorry. Submissions are currently closed. Medela Breast Pumps Because Medela Doesn’t Make Formula Too! My name is Katrina, and I have an Ameda Purely Yours. I have used this pump with my first and now my second child…. My name is Gabriella. I am a nutritionist and therefore I think every mom should try to breastfeed her baby. It’s worthy…. Evenflo Elan Dual Electric: Worth every penny! The Medela Pump In Style is a Great Product! Evenflo Comfort Select is great! My name is Celeste and I purchased the Medela Single Deluxe Battery/Electric Breast pump when I was nursing my first son. It was horrible…. THE FIRST YEARS : Loved It! Want to submit your own review now?